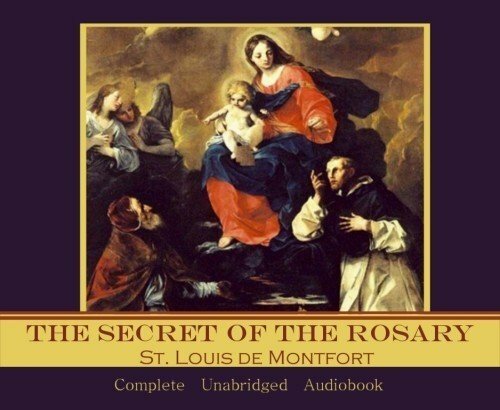 In the 53 brief chapters of The Secret of the Rosary, St. Louis covers virtually every aspect of this amazing gift from heaven. You'll discover the origins of this great devotion, marvels and miracles of the Rosary, the meaning of the prayers, the testimony of other great saints, clergy and spiritual writers, and more. But this presentation is not merely a fascinating exploration of a devotion of inestimable value by a canonized master of Catholic spirituality, but also an intimate journey into the heart of Our Lord and Our Lady and an effective tool that will inspire and empower you to recite the Rosary with tremendous spiritual benefits to you and your loved ones. A miracle of a book that has been changing lives for hundreds of years, millions of copies of The Secret of the Rosary have been sold in the twentieth century alone. The Secret of the Rosary was written by a great saint to introduce you directly to the powerful intercession of the Mother of God. Experience the fulness of this work in a dramatic recording and you will find that your rose awaits you. 3 CDs. Running time: 3 hours, 30 minutes.